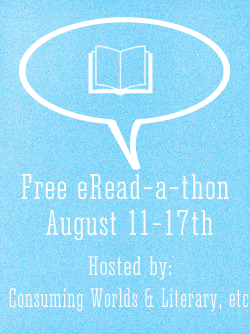 I’m happy to announce the read-athon details that Danielle @ Consuming Worlds and I have been organizing. Danielle and author Nikki Jefford were talking one evening and Nikki mentioned the idea. With Nikki’s blessing, Danielle began to put together the event and I came on board to assist. Basically, this is a no pressure read-a-thon. Read at your own pace and the best part? No money involved! 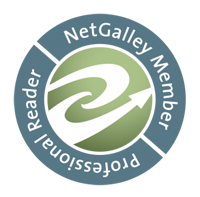 Our goal is to read those freebies we’ve all downloaded but we’ve put aside. Now’s the time to clean up the Kindle, Nook, Kobo, etc and hopefully you’ll find a few gems among those freebies. If you don’t have any free ebooks, don’t worry! We’ve got you covered. Danielle has posted a few titles here and if you check Literary, etc’s FB page I’ll begin to post a few titles as I come across them. Feel free to let me or Danielle know of a title if you come across one. Who: You! If you don’t have a blog, but would like to participate, no worries! You can post your updates via your Facebook or Goodreads account. When: Sunday, at Midnight, August 11th through Saturday August 17th at 11:59 p.m. in whatever timezone you are in. Where: In the comfort of your own home. No pants required. We’re finalizing the schedule, but there will be 3 challenges and 2 Twitter chats. We’re hoping to get sign-ups opened very soon so do look out for that! I hope you can join us and did I mention there will be prizes? Yes, prizes! There will also be a Grand Prize that all participants are automatically entered into, just by linking up on the first day! (More info to come). During the read-a-thon we encourage you to share your reading progress and all your Free eRead-a-thon thoughts with the hashtag #FreeERead this way all participants can see your tweets, making it easier for communication and sharing! If you have any questions feel free to contact me via email or send me a tweet (@literaryetc) or contact Danielle at her blog or send her a tweet (@y311er). Ooh, great idea! I’ll definitely be joining in, I’ve got so many freebies that I’ve not read yet!